Ever since we learned that Geely bought a controlling stake in Lotus in 2017, effectively saving it from what probably would have been a sad and agonizing death, things have been pretty quiet from the British automaker. Until this week. On Monday, Lotus unveiled its plans for the Type 130—an all-electric hyper that’s apparently very close to production. The car is in its advanced stages of development, according to a Lotus press release. It marks the first all-new production car from Lotus since 2008 and the first car produced under its Geely ownership. Exciting stuff. The automaker didn’t offer specific stats on the Type 130 at the time of its unveiling, but promises that the car will be revealed in full in London later this year. An actual photograph of the thing, not just some shadowy rendering, will be available then. 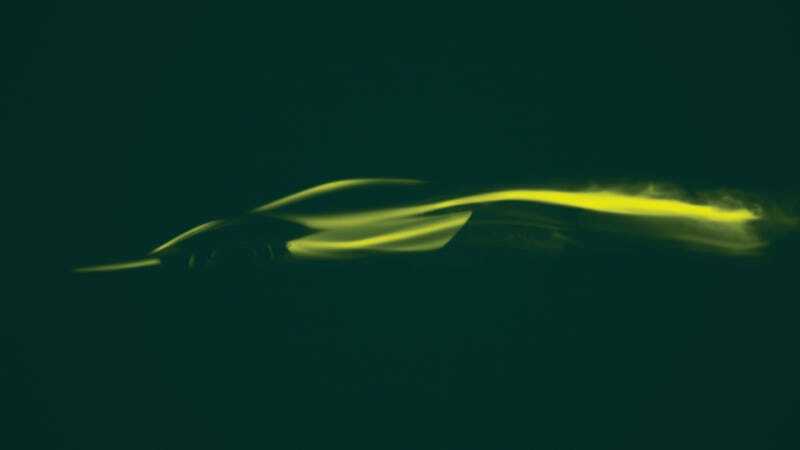 In February, we reported that Lotus and Williams had entered a collaboration to develop advanced propulsion tech. Williams, of course, has provided the batteries for Formula E since 2014, so it’s got the necessary experience. It was unclear what that partnership would yield, but it seems that the Type 130 is the first result. Way to burst out of the gate swinging. Now, you might be in the camp that simply dismisses the Type 130 as vaporware. After all, this has sort of thing has happened with Lotus before. But on the other hand, Lotus has money now. Or, rather, Lotus has an extremely loaded backer now. Money is usually a good thing. Money usually means cars. Anyway, the thing looks sweet and I hope (pray) that it will actually happen. Could This 2010 Lotus Evora Be &apos;Good Enough&apos; to Ask $33,900?